Glasswing Butterfly | Map This! Glasswing Butterfly, originally uploaded by archelenon. 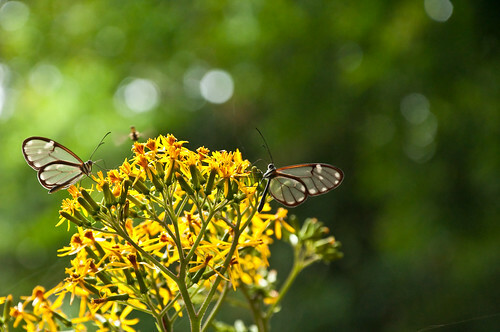 These glasswing butterflies were pretty common to see in the rain forest of Monteverde. They are quite amazing! Well, ok, not actually all the ones that I took, but all of the ones I’ve been meaning to upload! And I still lack… about 5. I got distracted by working out and haven’t gotten around to the last 5 yet.